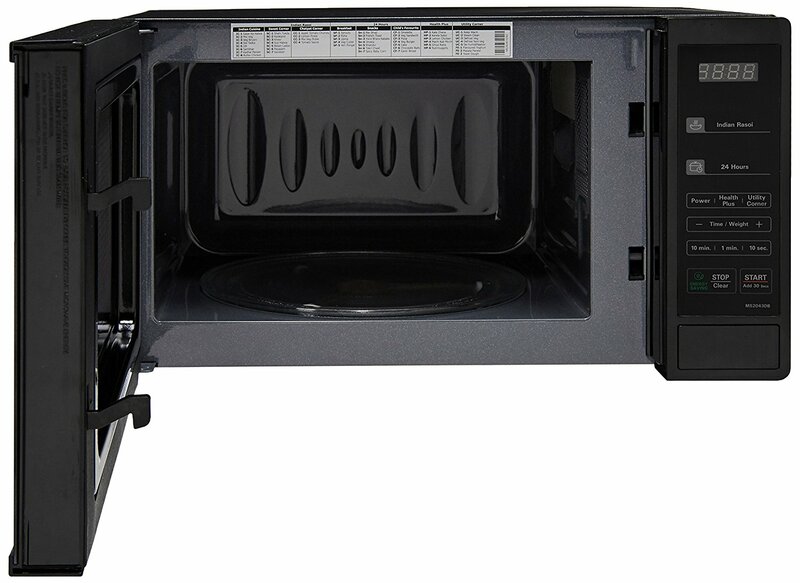 LG 20 L Solo Microwave Oven (MS2043DB, Black) comes with anti-bacteria cavity that aptly minimizes bacterial elements resulting in avoiding odour formation also. 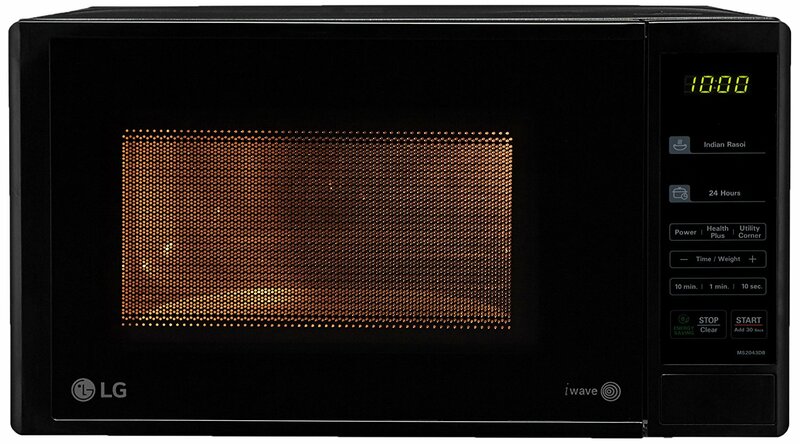 Further, this LG MS2043DB solo microwave oven is powered by iWave technology that LG’s patented technology to ensure quicker and hygienic cooking by moving the waves throughout the microwave’s cavity. 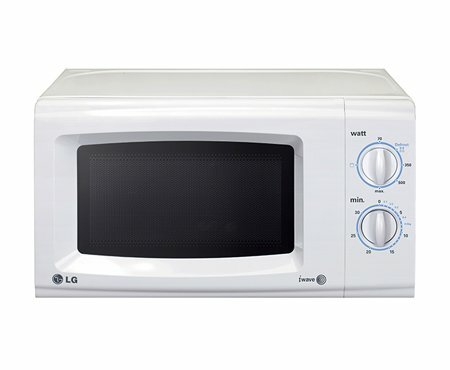 The LG 20L solo microwave oven is an energy saver also as it comes with Energy Saving feature to save electricity by automatically turning the display off when it is not in use. 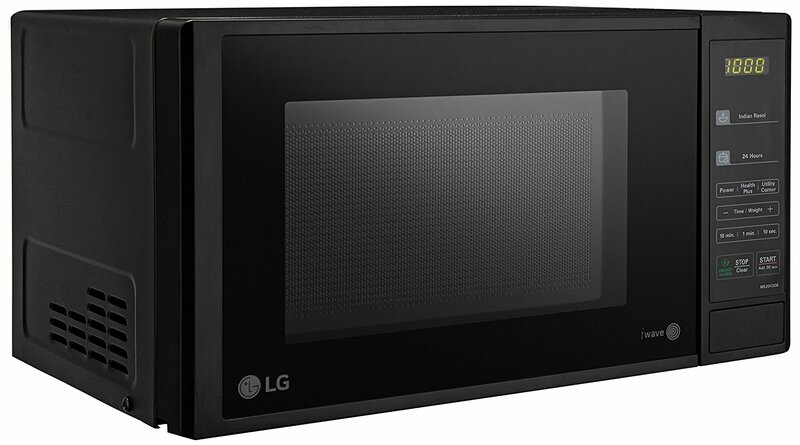 Amazingly, this LG grill microwave has advanced features including “keep warm”, “steam clean”, “anti-bacteria cavity” and 44 auto cook menus including 28 Indian dishes. 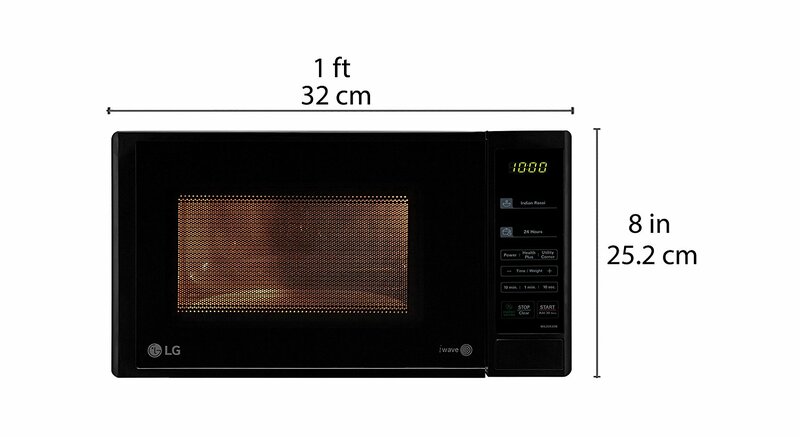 This high quality LG microwave comes with 20 litres capacity that means it has enough space to accommodate larger cooking items, food packets and dishes. 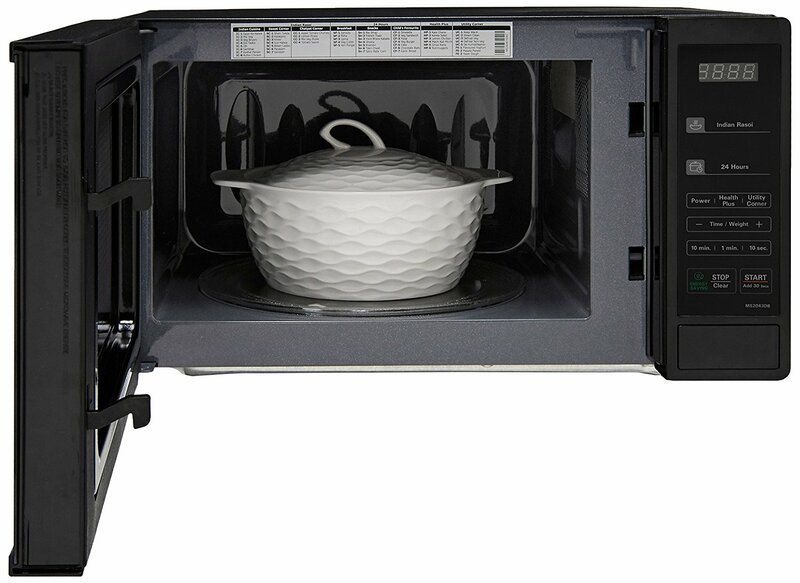 It delivers 700 watts microwave power that is really impressive cooking power to cook almost all foods evenly. 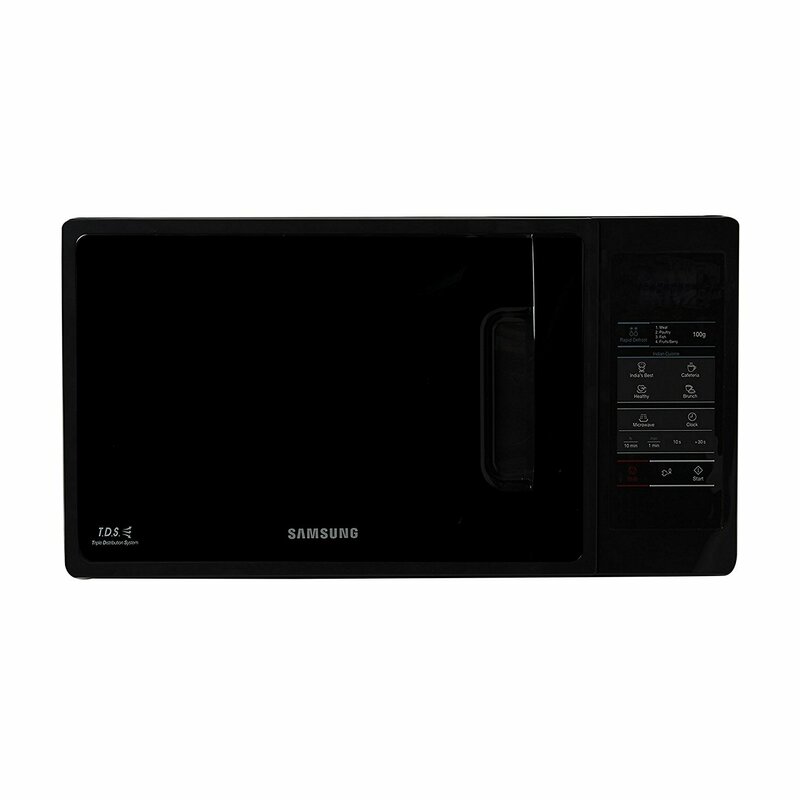 And, it comes with 5 power levels letting you explore many cooking possibilities via customized cooking. Other advanced features are ‘next step guide’, 245mm turntable, cooking completion alarm, child safety lock and Intellowave technology.